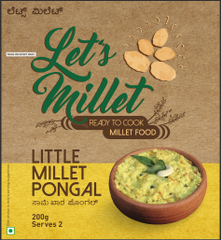 Millets are one of the oldest foods known to humans and possibly the first cereal grains to be used for domestic purposes. They are highly nutritious, non-glutinous, non-allergenic and not acid forming foods that are soothing and easy to digest. 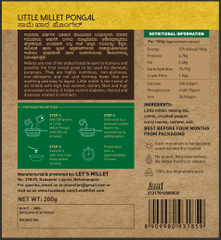 Little millet is the tiniest of all millets with high Iron content, dietary fibre and high antioxidant activitity. it helps control diabetes, thyroid and diseases related to stomach. 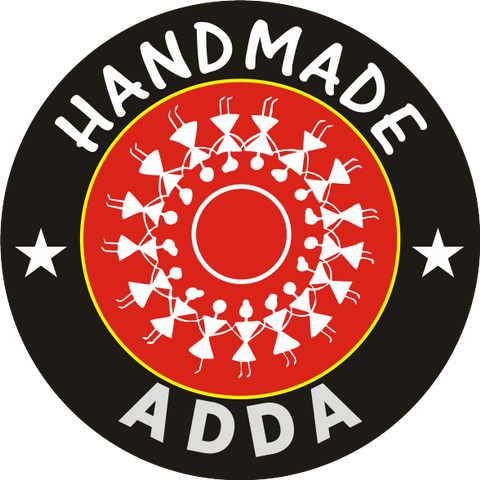 Each ingredient is handpicked sundried and dry roasted. 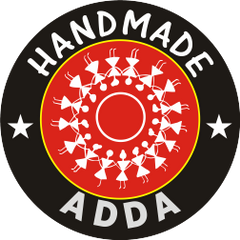 No gluten, No preservatives, No added flavors or colors.